This post has been BEGGING to be shared since I shot it in November! 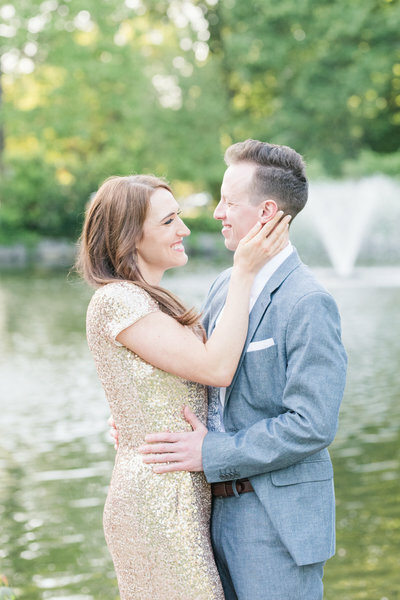 As soon as I got home from this wedding, I immediately showed Dylan some of the images because it was such a beautiful wedding at Barr Mansion! That, and I think the bride is the spitting image of Emma Watson! However, because I was second shooting and Brittany shoots mainly on film, I had to wait until her film scans came back and were safely delivered to Sarah and Elliott. 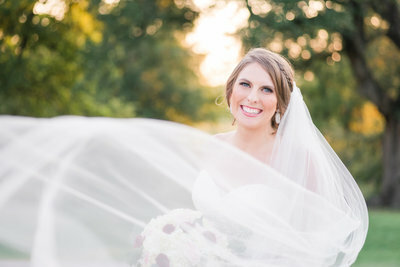 That time has come, so I can FINALLY share this Barr Mansion wedding! Sarah and Elliott decided to share a first look. It’s a great chance to get some of those wedding day jitters out, spend more time with the one person you’re vowing forever to on the day you make it official, and it gets you twice as many portraits of the two of you! Elliott gifted Sarah this beautiful ring on their wedding day. I love that it was her something blue and something she can wear everyday to remind her of her true love. The two have been together for eight years! I’m all heart eyes for this perfect ceremony back drop!! 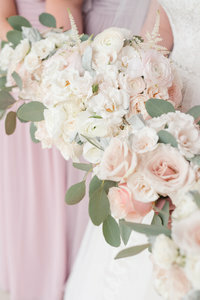 Anyone else gushing over Sarah’s bridal bouquet by STEMS?!?! Sarah has great taste! I love that all her bridesmaids were able to pick a dress that complimented their shape and skin tone. I wish more brides would embrace the mix-matched dresses for bridesmaids. It adds so much visual appeal to images! Her bouquets were perfect with that just-picked feel and loose ribbons! 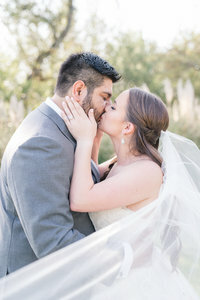 This wedding was three months ago and I’m STILL swooning over it! 1 Corinthians 13 was read during their Barr Mansion wedding ceremony. They’ve been together since high school and have traveled the world together and now they’re officially married!!! The hugs immediately after the ceremony are always the sweetest! Guests were invited to cocktail hour while family portraits were being taken. Sarah and Elliott snuck away for a few brief minutes for some “just married” portraits during golden hour. This beautiful light is every photographer’s dream! Make sure you plan some time just before sunset to get some of these for yourself! Sarah made this bridal tiara for her Barr Mansion wedding!! How talented is she! 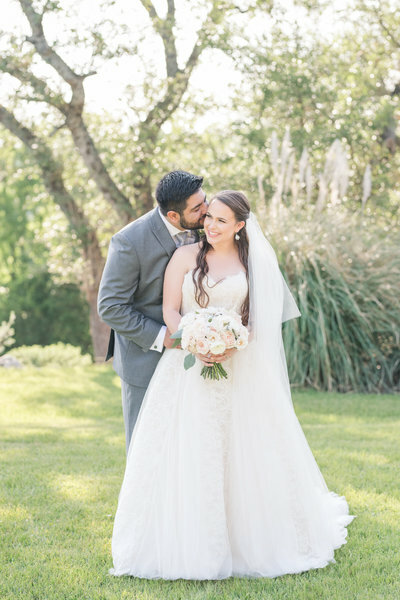 Barr Mansion is a beautiful wedding venue in Austin, Texas. It’s floor to ceiling windows and wood accents definitely brings the love of the outdoors in. Sarah and Elliott’s guests traveled from all over the world, New York and London included, to spend the day with them. They were greeted with romantic candle light and lush florals with family style seating. I can’t imagine a better way to spend the evening than with all your closest friends and family. Even though they danced the night away, I’ll end with their first dance as husband and wife. They couldn’t be happier in this moment and it was the perfect way to kick off the festivities at their Barr Mansion wedding! Congratulations, Sarah and Elliott! 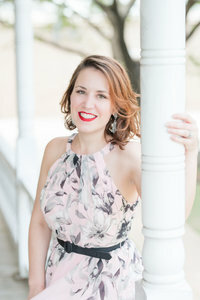 Thank you, Brittany Jean, for inviting me to second shoot this gorgeous Barr Mansion wedding with you!